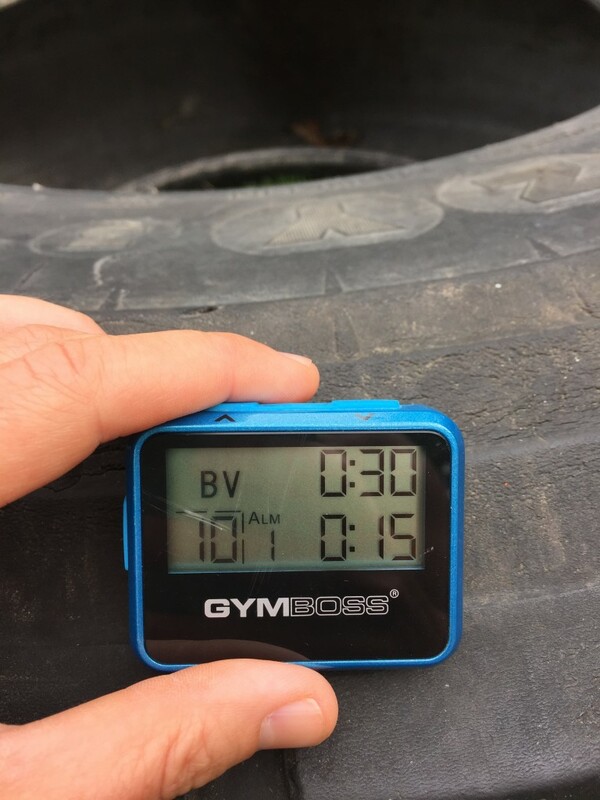 There are a number of great exercises that can be done on a tire such as, tire (box) jumps, tricep dips, decline pushups, plyo pushups, toe taps, sledgehammer strikes, lateral jumps, flipping the tire, dragging the tire, and on and on. 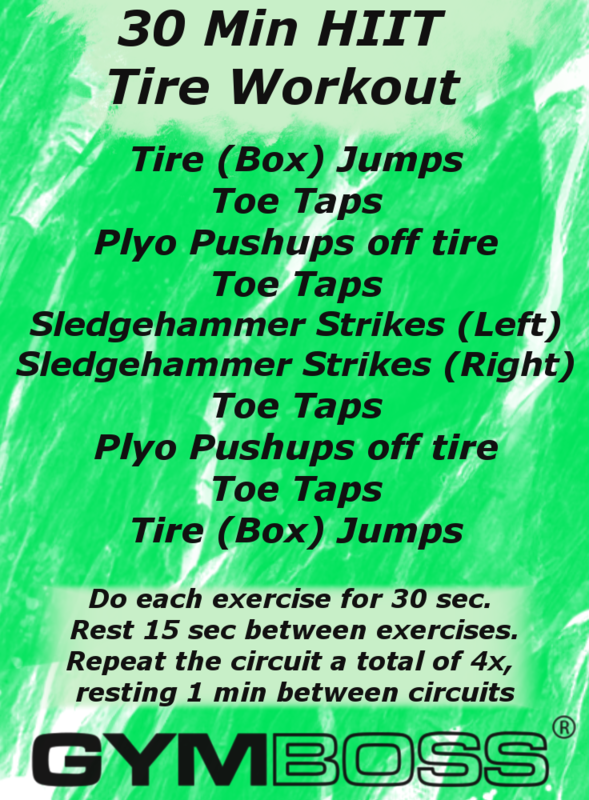 Here, we have created a 30 minute HIIT tire circuit workout, that uses 5 different exercises where each exercise is repeated twice in the circuit. We use a 2:1 work rest ratio of 30 sec work, 15 sec rest, making each circuit a total of 10 exercises that is 7:30 minutes total in length. Repeating this 7:30 minute circuit 4x gives you a 30 minute HIIT workout. You need a big tire for this workout, at least 22.5 inches. You will also need a way to easily time this workout and that is where your Gymboss Interval Timer comes in. Both the Classic and miniMAX make an excellent HIIT timer, allowing you to focus entirely on the workout and not when to start and stop. To time this workout, set your Gymboss for two intervals of :30 sec and :15 sec for 10 rounds. This will time each circuit completely. Once the entire circuit is completed, rest 1 minute then hit the Start button and do it all again! Do each exercise for 30 sec. Rest 15 sec between exercises. Repeat the entire circuit a total of 4x, resting 1 min between each completed circuit.